After two years of seeing fewer games than the previous year, I stemmed the tide this year attending 86 high school football games in person. Due to scheduling, my wife only attended 24 with me. She traveled everywhere except Texas this season. But with work and schooling, decided to stay in whatever hotel we were staying. As with previous recaps, this is a breakdown of my travels. This year, I attended games in 13 different states. 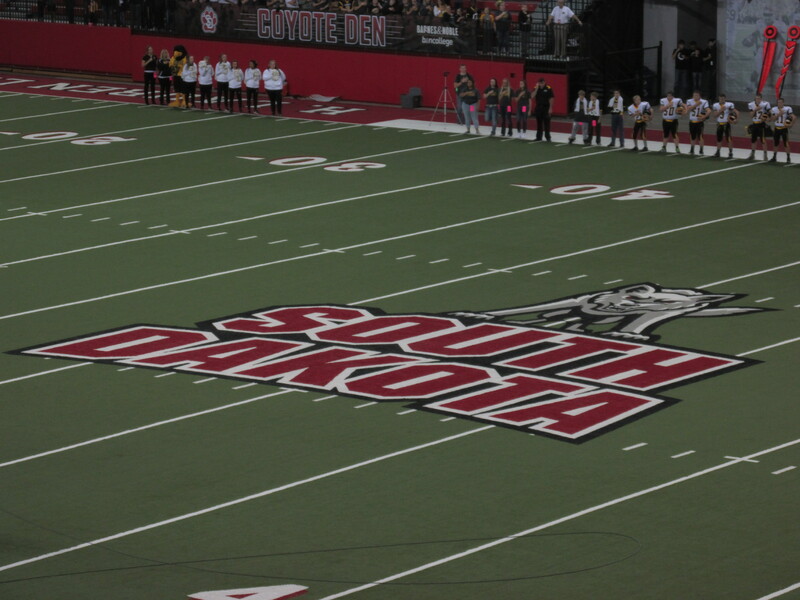 One state new for the first time: South Dakota. Of the 19 weekends, I attended games on 18 different weekends. 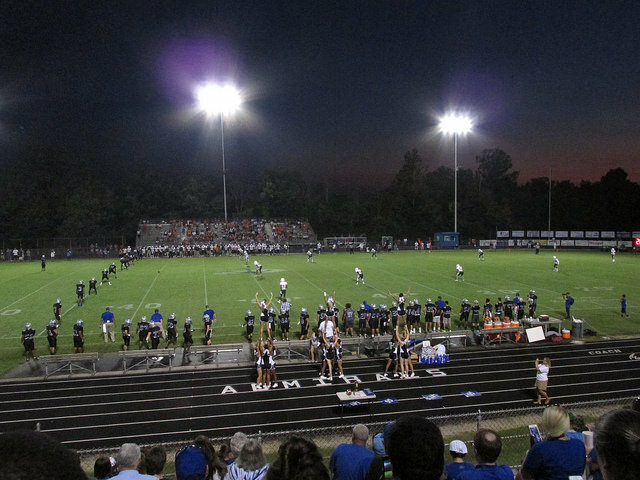 My first game of the year was August 17th in Strawberry Plains, Tennessee. And the last game was on December 22nd in Arlington, Texas. I attended games in 49 different stadiums in 48 different cities or towns. I saw 165 different teams this season. 90 of those teams for the first time. Vermillion is a small college town. It’s about an hour from the major city of South Dakota, Sioux Falls, and also about 45 minutes or so away from Sioux City. It’s located just a few miles north of Nebraska and the Missouri River. Just a quick trip this past week to New York on Thursday night. This was my second all-time trip to New York for a single game. And I was a little leery. Last time I drove to the Buffalo area for a Thursday game, I found out that earlier that day the game was rescheduled for another venue on the following Saturday. 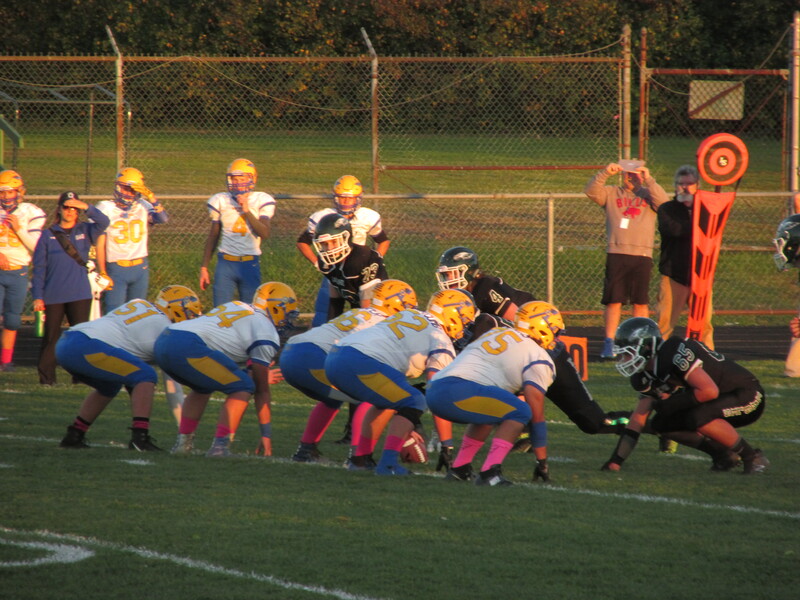 Checking with Twitter though, it appeared the game between Lake Shore and West Seneca West would still be a go for Thursday. Without any particularly interesting game elsewhere in northeast Ohio or western Pennsylvania, I took the two and a half hour trip north. Doing these slightly out of order now. 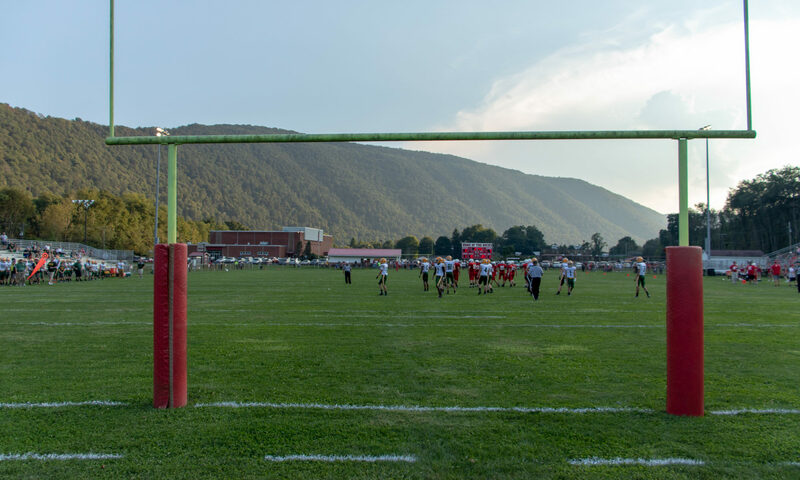 Week Four’s big game was in the town of Guntersville, Alabama. 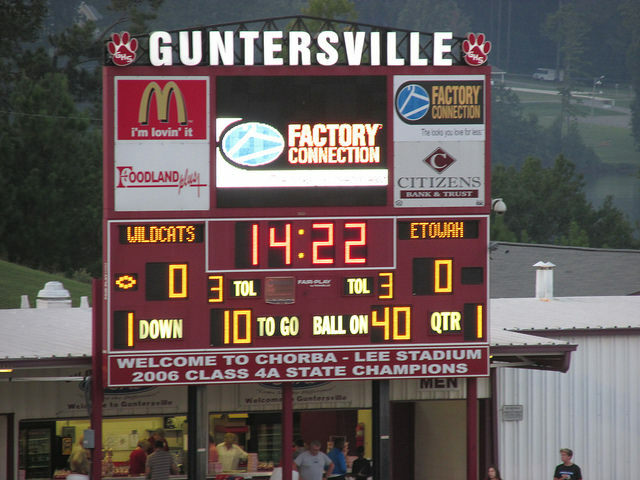 The homestanding Guntersville Wildcats hosted the Etowah Blue Devils at Chorba-Lee Stadium. 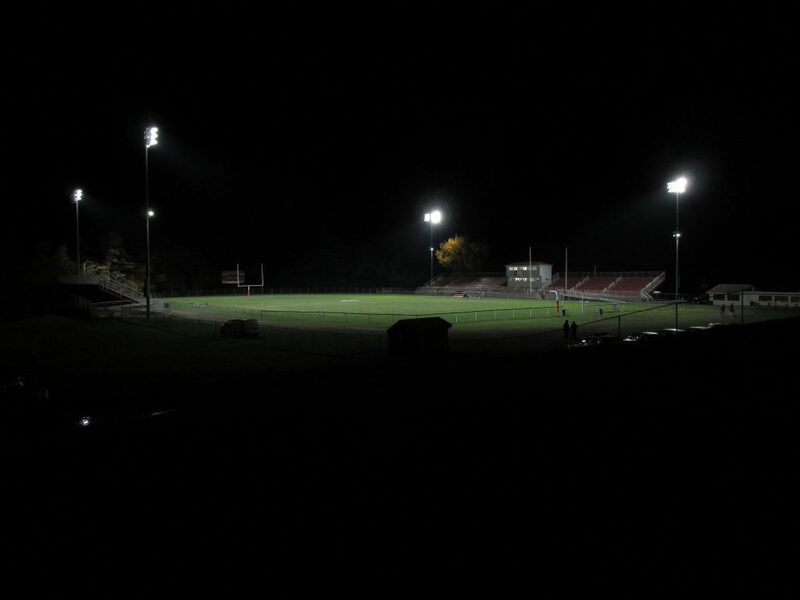 With an entire state to choose from, picking a good game for Friday night was a bit difficult. While also trying to make it to a Saturday night game in Kentucky, the northeast corner of the state was the best option. Albertville was my original thought, but the best hotel deal was a few miles northwest in Guntersville. This a little late, and I have several more states to go through. But, I will run down my trip to Michigan. 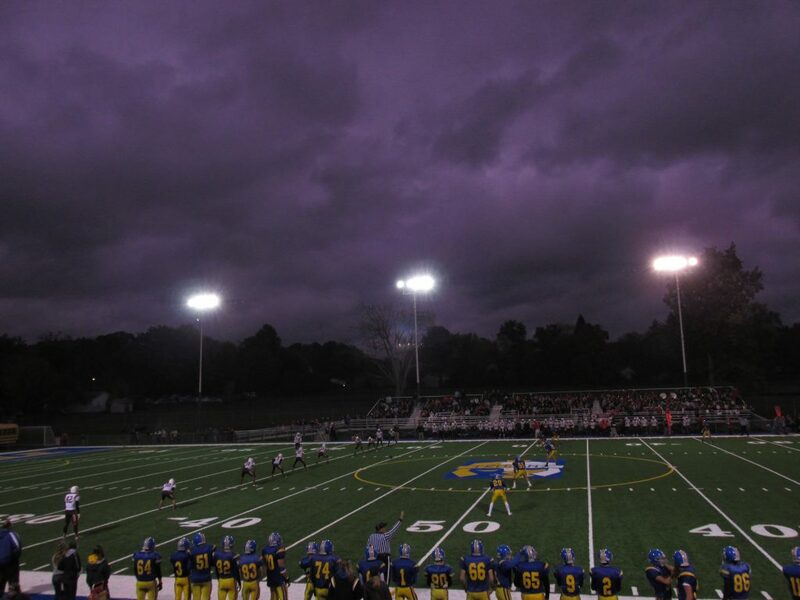 For many years, the Detroit area has hosted the “Prep Kickoff Classic” much akin to the Crosstown Showdown. It is several games over a few days at one location. In years past, it was at Eastern Michigan University’s stadium in Ypsilanti. It was eventually moved to Wayne State, just west of downtown Detroit. As has been the case the past few years, Week 0 is a trip to Kentucky. Now, one thing about Kentucky is their ‘bowl’ games. Other places around the country may have ‘kickoff classics’ or other events that start the season. Ohio has the Crosstown Showdown and the now-defunct Herbstreit Challenge. Syracuse has their 10-game behemoth at the Carrier Dome. 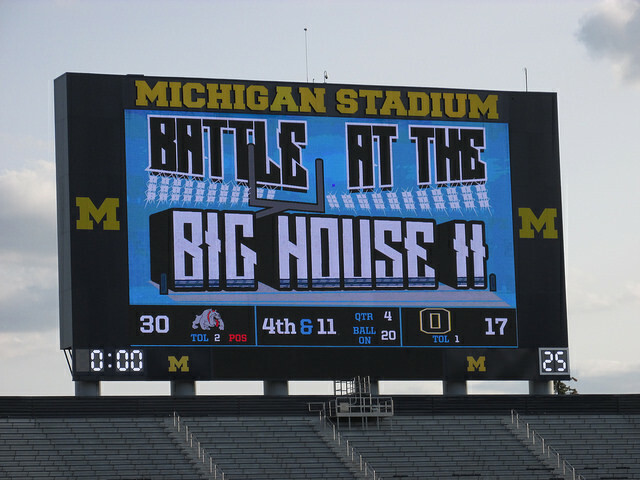 Michigan now offers two kickoff classics. One at Wayne State and the other at Michigan Stadium. And Georgia boasts the venerable and interestingly name-saked Corky Kell Classic. I may have slacked the past two years remarking on trips around the country. But, this year I decided to try and write some about games outside Ohio. Less on the games themselves, and more on just notes and observations about how other states do things. As has been the case, my season started once again in Tennessee. This works great because it combined both my anniversary and a football trip into one. Now, other states start in Week 0, such as Indiana and Kentucky. However, Tennessee is one of the few that opens with games on Thursday. I attended the fewest games in a season since 2011, though still managed to attend 84 high school football games in person. My wife attended 63 games alongside me. And despite attending 43 games fewer than I did in in 2014, I had a very good reason. Earlier this past year, my wife and I welcomed our first child. A beautiful, little girl who both requires and deserves a lot of my time. And, throughout her first eight months, she attended 48 games with us. Keeping with previous years, this is a breakdown of my travels. This year, I attended games in 9 different states. I attended games on 18 different weekends. My first game of the year was August 18th in Clinton, Tennessee and the last game was on December 17th in Arlington, Texas. I watched games in 51 different stadiums in 50 different cities or towns in 9 different states. I saw 145 different teams in those 84 games. In all the games I attended, the only game I missed part was Niles McKinley-Girard. The line was much longer than I expected and got into the game a few minutes after kickoff, and with the ensuing lightning delays, we left during the second delay at the end of the third quarter. In games I’ve attended, there were 4,198 points scored, for an average of 49.97 points per game (1.00/game more than last year). The cumulative score was 3,010 to 1,188 for an average score of 35.833 to 14.143 compared to 34.61-14.361 average last year. 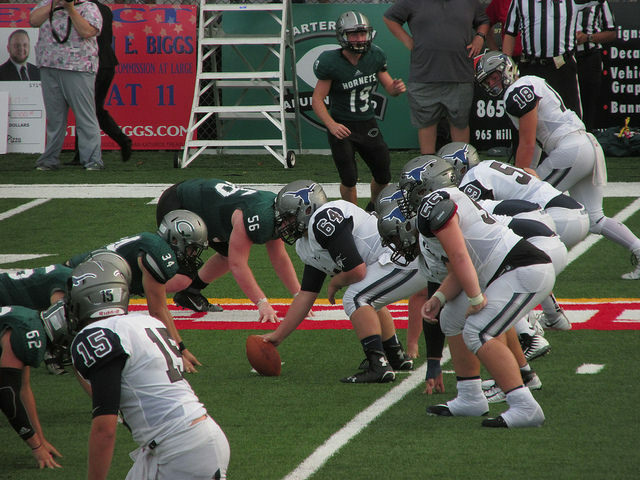 There were 13 shutouts–three more than last year despite 13 fewer games attended–and the most points scored was 96 by Richland Springs in a 6-Man championship game in Texas. 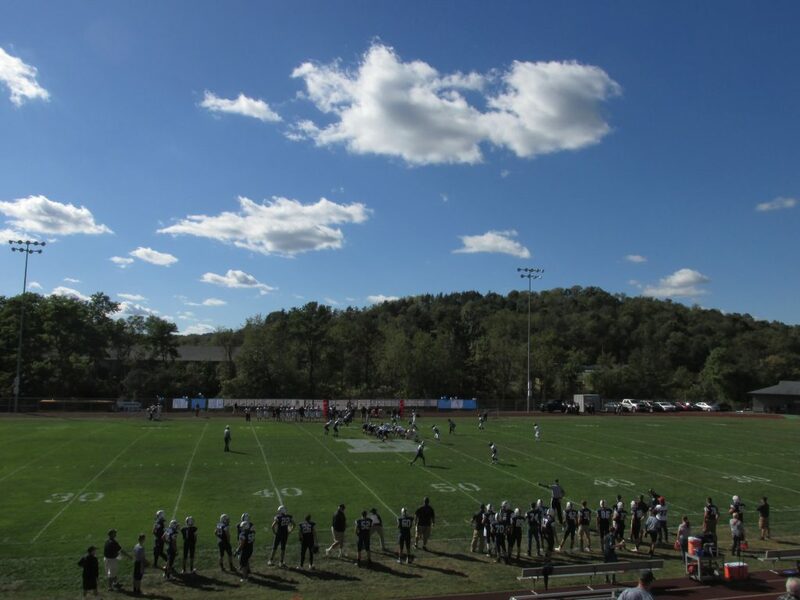 The most for an 11-man game was Meadville (PA)’s 67 against Grove City (PA). Most games witnessed in one week was 12 in Week 17 (Wednesday through Saturday) in Arlington, Texas. The fewest games in one week was 3 in Week 2. I didn’t attend a Thursday game that weekend. Well, it’s on the verge of Week 14 in Ohio, so I’m ready for a Midseason report, as it were. Since my last post, my wife and I have traveled to New York and Iowa. As well as smaller trips to the Cleveland area and northern West Virginia. For Weeks 8, 9, and 10 we’ve seen four games each weekend. A Thursday night, a Friday night, and two games each Saturday. Week 11 included six games. A consolation game, a playoff doubleheader on Thursday, and the regular Friday and Saturday plans. 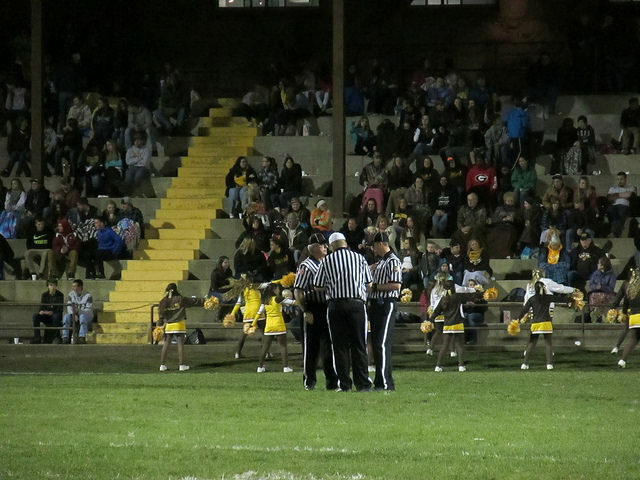 Week 12 was in Iowa and Week 13 was a surprisingly sparse affair, with just three games locally. As of today, I’ve attended 71 games, while my wife has attended 64.